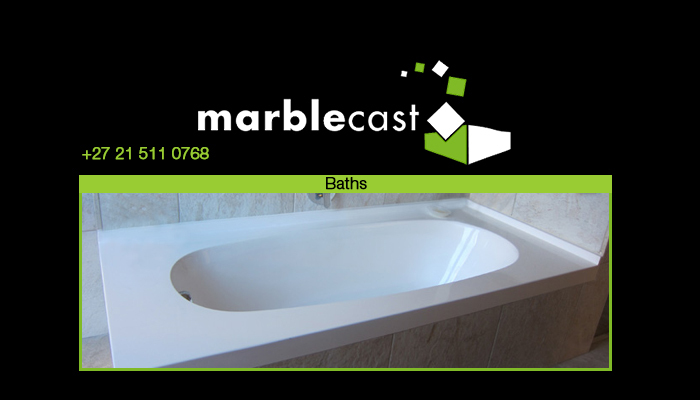 Marblecast is one of Cape Town’s most established cultured marble manufacturers and supplies, and we have 40 years of experience under our belts. 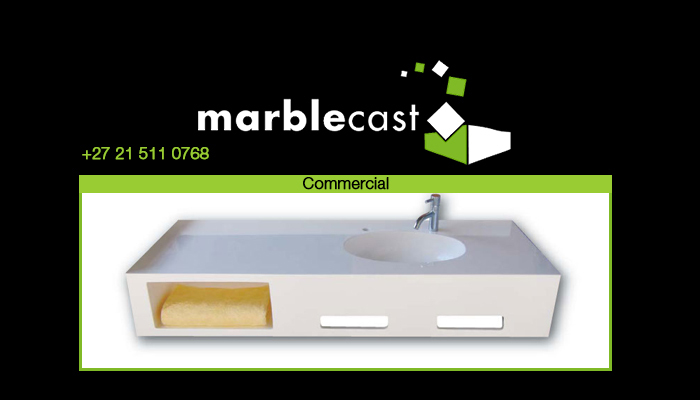 We specialise in the manufacture, supply and installation of elegant cultured marble bathroom ware. 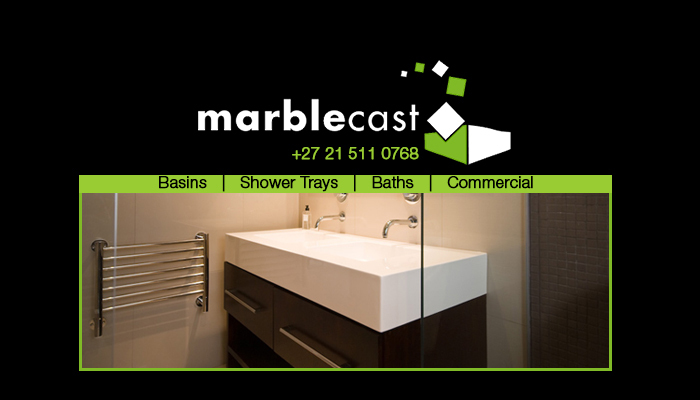 Marblecast has many loyal clients, all of whom have come to know us as delivering world-class, quality products and efficient services. 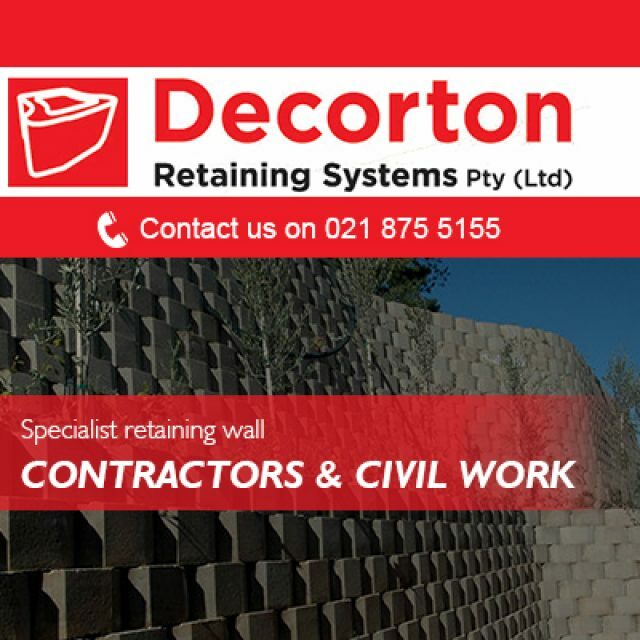 We deliver our products and services to both residential and commercial clients, and have completed numerous stunning projects at national shopping centres, airports and residential developments countrywide. The Marblecast cultured marble is made up of 80% marble and 20% resin. 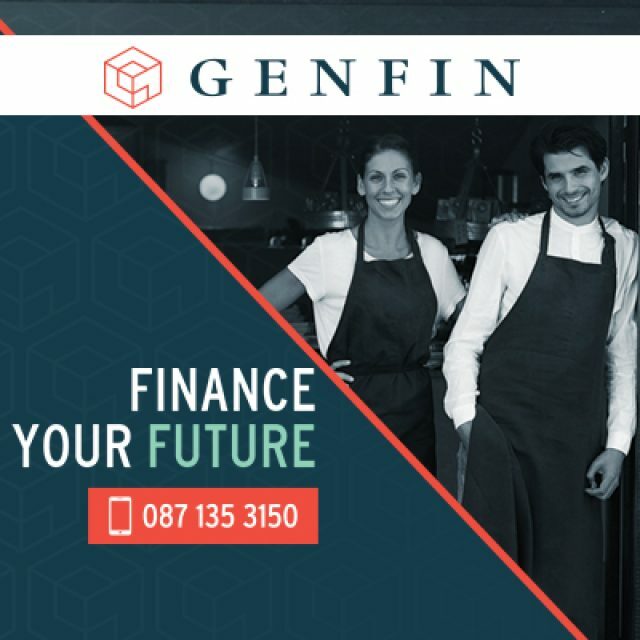 The end results of this unique combination are longer lasting, durable and flexible marble which can be adjusted and moulded into any design our clients require. This material is also stain resistant, meaning that its beauty is easy to clean and maintain. 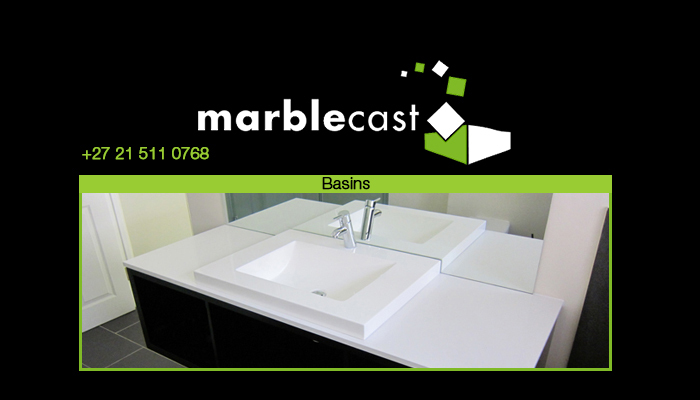 Basins: various styles and colours available; clients can also choose to have a cabinet installed. 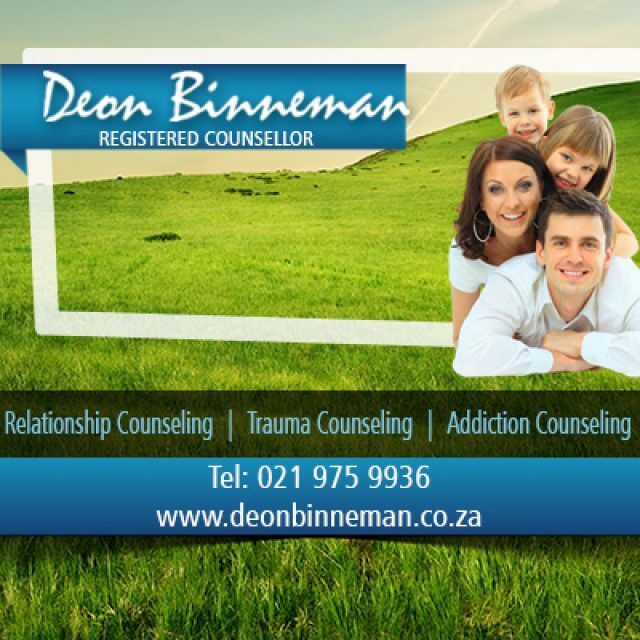 Baths: various baths available, in a range of styles, sizes and colours. 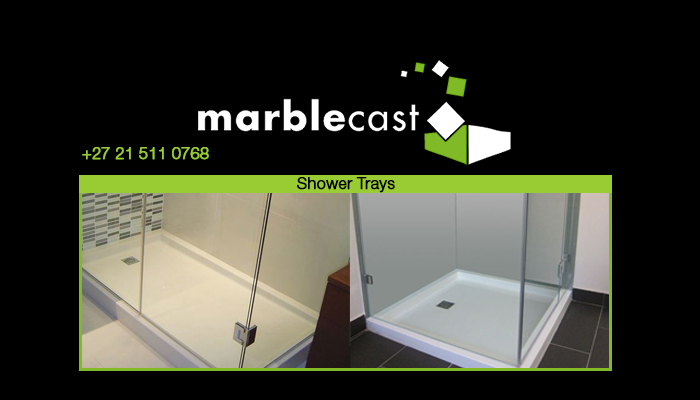 Shower-Trays: both modern and classic style shower trays available in different colours, to suit your taste. 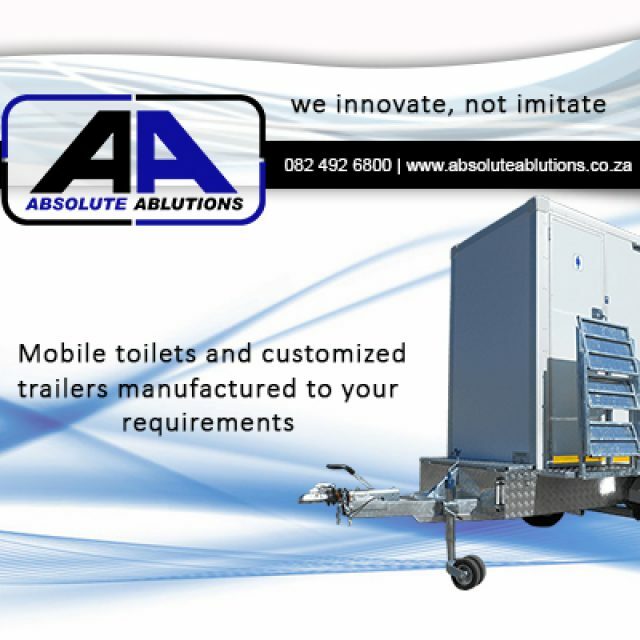 Commercial product range: this range is varied and caters to the large-scale bathroom needs of shopping centres, airports, hotels, etc.